When I envisioned visiting Provence during lavender season I pictured myself walking down military straight rows of blueish purple stalks, breathing in air so calming as to induce a state of somnambulance. The effect would be so strong I would struggle to resist dropping into the crunchy stalks, curling my body into the fragrant clumps and drifting off to sleep like Dorothy in The Wizard of Oz, overcome in the field of poppies . I would bury my face in large bundles of lavender to inhale the deep calming scent. There would be patchwork quilt fields of lavender and green, spreading as far as the eye could see. We traveled in the first two weeks of July, picked as a time to avoid some of the larger tourist crowds but still be able to see the lavender blooming. The sight was as beautiful as I had imagined but what did surprise me as I stood beside a sea of lavender was the smell. I had expected to be enveloped in scent as if I was in a huge, outdoor spa, but the reality was that the scent was subtle. It wasn't until I actually plucked a bud from the top of a lavender spike that I got my wish. As I crushed the tiny fragrant balls that make up the gorgeous blue stalks these few tiny buds created a trail of strong scent as if I had uncorked some genie bottle and released a magical elixir. I suspect that later in the growing season, late July and early August when the lavender is almost ready to harvest, the scent may have been stronger. Nevertheless, it was one of the most beautiful places I've ever experienced and it was worth the trade off to have the view relatively to ourselves. Fulfilling my wish to be knee-deep in lavender. The first lavender field I spotted was off the side of the A6, as my husband and I neared the end of our long drive from Charles De Gaulle Airport to our first stop in Orange. It was only one small patch but engendered an ecstatic reaction from me. We were approaching the heart of lavender country and after a couple of days viewing historical Roman ruins around Orange, we drove east toward the Luberon. This area of Southern France is sprinkled with ancient hilltop villages, each more charming than the next, and the drive is often punctuated with an unexpected lavender field as you round a bend. One village that seems to be the epicenter of all this lavender activity is Sault. This is the part of France we located ourselves in to view lavender. Sault is in the middle of the map. We were staying in a charming medieval town called Vaison-la-Romaine and we traveled south to Mt. Ventoux, a high peak with fantastic 360 degree views. On a clear day you can supposedly see the Swiss Alps in one direction and the Mediterranean Sea in the other. It is on every serious bicyclists bucket list, and we passed many with bulging quads struggling up the mountain, then later flying down the other side. This route's inclusion in the Tour-de-France has granted it some renown. After viewing as much as we could see on a cloudy day, we made our way south to the little town of Sault. A lavender shop in Sault. Sault sits atop a ridge and the cooler climate is ideal for growing lavender. The town consists of two long streets, anchored by a restaurant offering a scenic view of the lavender fields below. Every other shop is selling lavender or confectioneries. Lavender oils, lavender soaps, lavender sachets, lavender honey and bundles of fresh lavender adorn the shelves of local shops. Just a kilometer outside the town is one of the area's most charming and rustic lavender distilleries, Aroma Plantes Distillerie. These distilleries, some small family-owned affairs and others larger and more commercial, are scattered throughout the lavender producing region. I am not going to give a long explanation of the distillation process, but steam distillation is preferred for producing high quality lavender oil. Later we visited another distillery, Les Agnels, near the town of Buoux. Here is a distillation vat, waiting to be loaded with the lavender. Here is a drawing of the steam distillation process. 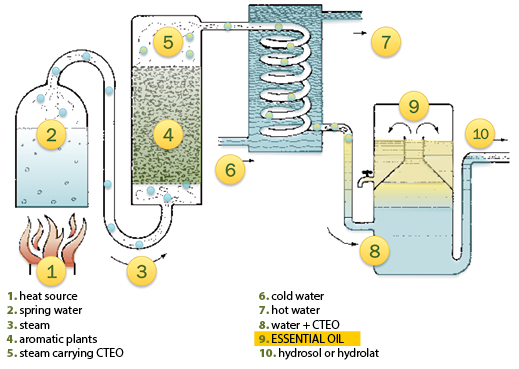 The fine oil eventually comes out the top and the water and oil collected from below is used in hydrosols. There are different grades of lavender. The highest quality is lavandula angustifolia, commonly referred to as English lavender. This produces aromatherapy grade oils which have many therapeutic uses, and these plants produce less oil than some other grades of lavender, thus it is more expensive. Its habitat is higher, cooler climates and it is different from other lavenders and that it contains no camphor, thus having a particularly sweet smell. Lavender gifts for sale in a Sault shop. Spike lavender (lavandula latifolia) is mainly grown in France and Spain for essential oil uses. It is grown at lower altitudes and produces much more oil at distillation. It contains the highest percentage of camphor and thus can smell slightly medicinal or antiseptic. Lavandin is a hybrid produced by combing the two lavender varieties above. It is highly scented but produces a greater amount of oil, thus it is widely cultivated by lavender growers. It is commonly used to scent soaps, cleaning products, face products, and perfumery. It also contains camphor. Lavender's use dates back 2000 years. It was used by the Egyptians, Romans, and Greeks. They valued it for medicinal purposes, as well as using it to scent the body and to scent bathing water. During the Renaissance it gained popularity as an antidote to battle the plague. Lavender has some insect repellent properties, and the fleas on rats are what caused the infestation. English royalty advanced the popularity of lavender during the Victorian era. Queen Victoria had lavender scattered around the castle floors so that the scent was released as it was stepped on. This is where the association of lavender with cleanliness and purity began. I wore several different lavender perfumes when I was in Provence. I appreciate the addition of lavender to more complex perfumes to amp up the deepness and richness, but here I am going to concentrate on perfumes that are mainly all about the lavender note, if not quite soliflores. Taken in a shop in Aix-en-Provence. I'll start with some lavender perfumes that emphasize the herbal aspects of the plant. I think naturals are often better at catching these nuances so most of these are natural perfumes. Phoenix Botanicals Lavender Noir starts with a blast of pure lavender but quickly morphs into a smokey lavender tinged perfume. It feels rustic, like a trip to the country. 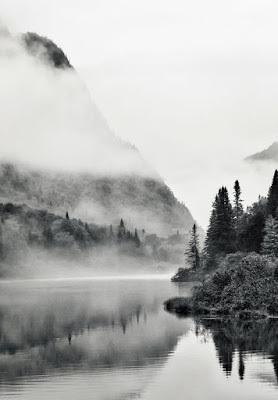 Picture yourself in an old stone cabin surrounded by forest. It's cold and you need to get the fire glowing. You throw a bundle of dried lavender into the fire and for a few moments the lavender mingles with the smoke creating a fragrant aroma. Later the smoke dissipates and there is a smattering of gentle wildflowers, but lavender still takes the lead, as she can't help being a bit of a diva. The lavender is rich and feels complex. This perfume imparts a feeling of calm and serenity in me. On the Phoenix Botanical website it's stated that the perfume is inspired "by harvesting the flowers, burning freshly dried lavender spikes for incense, and late summer naps on the forest floor." Notes include bergamot, lavender, wildflower petals, tonka, smoke, mushrooms, and oakmoss. Irina Adams describes herself as artist, herbalist, forager, and natural perfumer and she is the creative behind Phoenix Botanicals, which she founded in 2007. Everything in the shop is made by hand and is 100% natural and organically sourced. Irina espouses the beauty and healing property of plants. Ajne deLavande is another natural perfume from a perfumery based in Carmel, California. Ajne deLanande at first spray is the most delicious herbal lavender. It's like falling headfirst into a row of ready-to-harvest lavender. It is deep and luxuriant and has a little of that r e l a x a t i o n quotient that lavender is known for. If this were a color it would be the deepest of blues. The perfume presentation is in ornate bottles which makes these perfumes feel like a real treasure in your hands. The perfumer's inspiration was actually the lavender fields of Provence.This perfume has herbal characteristics but this is softened by the use of sweeter notes. Vanilla, almond tree, and powdery notes are used to make the lavender not too strident or overbearing. 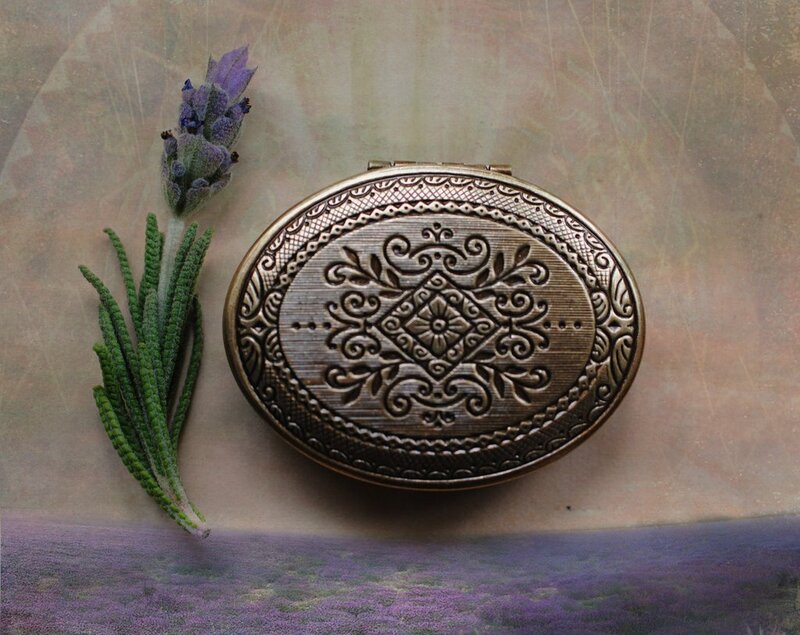 The lavender oils come from France, Bulgaria, and Carmel and like many of these perfumes, you can smell the high quality of the lavender oils used in the composition. Roxana Illuminated Perfumes Vera was for many years my holy grail lavender scent. I still have a little perfume left in the tin of solid perfume I bought probably eight years ago. I remember I had a small vial of the liquid version of Vera which was a gorgeous elixir but it was ultimately the solid version which I purchased, after sampling both. Even after all this time this is potent and application of this solid perfume brings about an almost instant "ahhhh" of relaxation and engenders a sense of quietness in me. 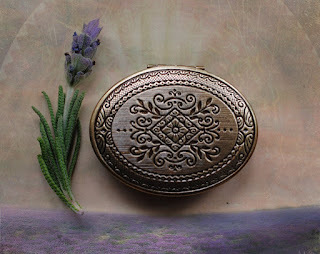 This is the most herbal of all the lavenders I have listed here, and the white sage mixes beautifully with the lavender. I can only imagine what a new fresh Vera would smell like. Since I last dove into Roxana's world she's made some major changes. She's moved from her magical abode near Ojai in California, where she grew herbs and tended bees whose honey she harvested to make her potions, to a new inspiring location near Santa Fe, New Mexico. She and her artist husband Greg Spalenka are wonderfully creative, and to me Roxana has always seemed like some sort of delicate woodland sprite, spinning beauty from whatever she touches. Her packaging is the most exquisite I've ever received and a bee is her symbol which she uses as a wax sealed decorative touch on her packages and samples. I am sure these new surroundings will inspire creative ventures and I can't wait to see what develops. Meanwhile, hopefully, Vera hasn't changed at all, because frankly, it is perfect. Botany's Daughter by Gather Perfume is sold on the Etsy site which is full of handcrafted and homemade goods. This lavender perfume has a different slant than the one's above with it's addition of linden for a honeyed note. The addition of cardomom and nutmeg, just a touch, add a dry spice note and bergamot gives a slight citrus effect. The perfumer says this smells like a Provencal countryside. For those who find lavender too sharp or pungent, you will find that this lavender has been softened without adding any sweet notes. It is very wearable and pretty. A lavender field near Sault, France. Rania J Lavande 44 is seemingly a lavender in the classic fougere tradition, but this is Rania J, after all and she brings an Eastern influence to a very traditional Western scent family. Lavande 44 opens with notes of petitgrain, bergamot, and lavender. As she has with her other perfumes I've tried, Cuir Andalou reviewed here and Jasmine Kama reviewed here, this Eastern influence from Rania's early years spent in the Middle East and Africa adds an unexplored facet. As Lavande 44 develops on my skin it becomes more hypnotic which is probably the labdanum, because in my opinion a little labdanum makes everything better. There is also just a whisper of oud, not always apparent, so if like me this is a note that doesn't always work for you, don't be put off. It is a delicate touch and only pops up from time to time. If you would like a similar lavender perfume, minus the Eastern twist, Histoires de Parfum Casanova reviewed here is worthy of attention. Moving away from herbal lavenders, let's talk about MEM by Bogue Profumo. The first time I sampled this perfume I hated it. The second time I loved it. Look up the reviews; Kafkaesque blog discusses it in far more detail than I have time for here, but the reviews are all over the place. Looking at the list of notes: petitgrain, mandarin, grapefruit, four different lavenders, ylang ylang, lily of the valley, champaca, jasmine, rose, geranium, peppermint, laurel, vanilla, benzoin, rosewood, sandalwood, cedarwood, ambergris, labdanum, musk, amber, and most importantly catoreum and civet; one might ask, is this even a lavender perfume? It is certainly not a soliflore...obviously...but for me the lavender is the defining note throughout. There is a moment at the beginning when the civet and castoreum, supposedly base notes yet here they are in the first five minutes, take me on a wild ride that I'm not sure I'll safely survive. These notes, along with the champaca, jasmine, rosewood, benzoin, and others bring to mind my beloved perfumes that make me think of my years in India. They are always over the top, they push boundaries, and they border on being feral. Yet they somehow capture the exuberance, color, and vividness of life in this amazing country. I have never seen lavender used in an "Indian perfume", and let me make clear that this was not the perfumer's vision, it's just how it strikes me. It's as if the Indian subcontinent is in its DNA. After the animal notes die down I begin to smell the many other notes, sort of like a talent show with multiple acts, but throughout it is the lavender that sings to me. In no circumstances should you blind buy this perfume! It has a big personality. Vero Profumo Kiki Eau de Parfum is another lavender perfume with an odd twist. It was introduced in 2010 as an offshoot from the Kiki Parfum Extrait from 2007. This perfume was created as an homage to Man Ray's muse and model, Kiki de Montparnasse and in the eau de parfum, a surprising blast of passion fruit is a surreal and unexpected addition to lavender, which is considered a traditional scent by most, and stodgy by some. The passion fruit is juicy and very identifiable and for a moment overtakes what can be the strong scent of lavender. The addition of caramel and musk turn this into a slightly sweet but not overly gourmand as the fragrance takes shape and blooms. The passion fruit note lasts about as long as if you cut into the fruit and ate it, not long, but it adds an interesting aura while it lasts. I haven't tried the parfum extrait, which has fruit notes, but not passion fruit. Those who find straight up lavender a bit boring may prefer this but I'm a bit of a purist and while nice, it's not my preferred lavender scent. Serge Lutens Gris Clair is perhaps a lavender that even non-lavender lovers could appreciate. It's name translates to light grey, and subtlety is its fingerprint. It starts out with the chill of fragrant greenish lavender. There is a tiny bit of incense, but for me this smells more like smoke from a very distant campfire. Eventually notes of iris and tonka bean come into play, and the tonka bean really sweetens and tames the lavender. Though slightly sweet it in no way approaches gourmand. The scent matches its namesake; light grey rather than vibrant purple. Everything about it is buffed and softened so as not to call attention to the scent, but rather to drape the body in a soft cashmere wrap of scent. Serge Lutens Encens et Lavande was introduced in 1996, a full ten years before Gris Clair and has always been a Paris exclusive. It's composition is simple; lavender and incense. The lavender is life like and honeyed. The incense speaks of cold stones in majestic buildings and curls of light incense rising to vaulted heights. The two notes seemed used in equal parts so that neither dominates and each subdues the other. It is not complex but I prefer it's simplicity above the slightly sweeter Gris Clair. The perfume reminds me of this photo I took of Abbey de Senaque near the beautiful hilltop town of Gault. The Abbey which was originally founded in 1148 is one of the most visited and photographed sites in the lavender region and there were a couple of tour buses when we were there, everyone vying for that perfect lavender photo opp. The purple lavender and the cool stones of the Abbey perfectly illustrate Encens et Lavande. Penhaligon's Lavandula starts with that medicinal lavender smell which I actually find quite bracing and refreshing. Green basil and black pepper accent the herbal aspects of the lavender. This perfume doesn't go for the rich depth of the scent, but centers around the more sharp aromatic aspects. 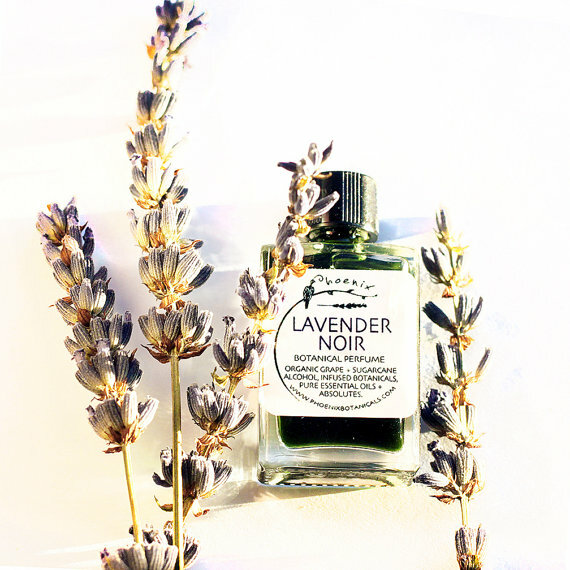 Penhaligon's claims to use lavender from the Lavandula area of France which is 1000 feet elevation and the lavender is supposed to be highly fragrant due to the cooler climate. I sometimes get a slight soapiness from this but it doesn't detract from the aroma of the lavender. I could go on and on, there are so many lavender perfumes, but to me these lavenders are a good representation of what I saw and smelled in Provence. What are your favorite lavender-centric perfumes? All photos my own unless noted. All perfumes my own. For someone who loves lavender I do not have that many lavender perfums. My most favorite is Krigler’s Lieber Gustav 14. I also have Gris Clair. I like Kiki and Fourreau Noir but haven’t got to buying those (yet?). I like your list, and I’ll try to get at least some of those for testing.